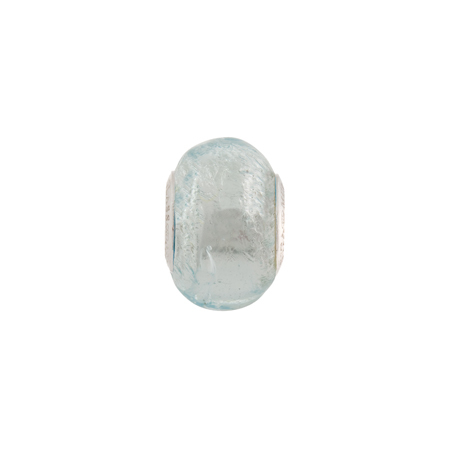 This solid color PerlaVita European bead is made with a aquamarine Murano glass over a 24kt gold foil base with a sterling silver insert. The hole size is approximately 5mm and overall dimensions of this rondel bead are about 14mm x 12mm. Fits on Chamilia, Pandora, Troll, and major brands. Venetian Jewelry at its best. Complete with authenticity card.